Doctor In White Medical Lab Coat Points Ballpoint Pen On Anatomical Model Of Human Or Animal Duodenum. 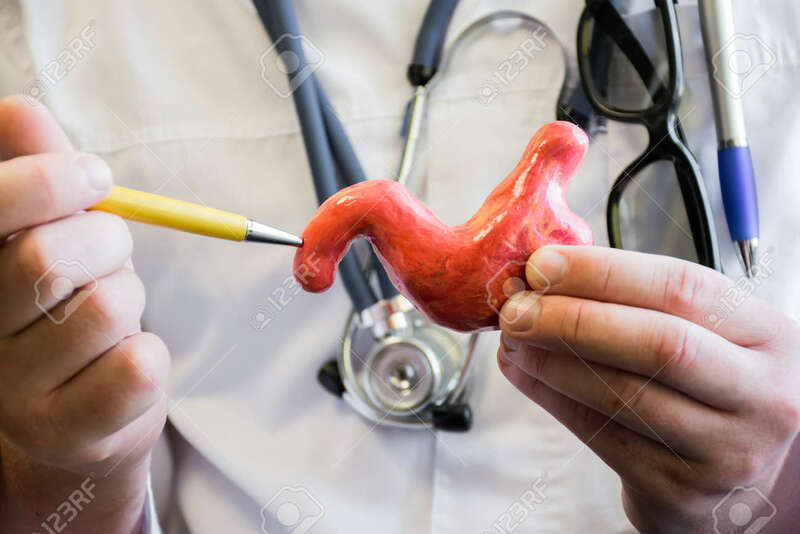 Concept Photo For Use For Study Of Anatomy Of Duodenum Intestine, Biology, Medicine, Veterinary Royalty Free Stok Fotoğraf, Resimler, Görseller Ve Stok Fotoğrafçılık. Image 85680097.